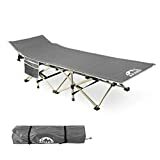 While some people like to rough it out when going camping, other people prefer to leave room for the luxuries, such as bringing along a camping cot to make the night more comfortable. Many people can benefit from sleeping on a cot in the great outdoors, and it may leave you feeling more refreshed and ready to take on the day the next morning. There are many kinds of cots available and on the market and some may be a better choice for your needs than others. So how do you know which one to buy? At Comparaboo, we are constantly scanning and reviewing products to give you a starting point for your shopping, making it easier for you to make a decision and get a product that best suits your needs. End-bar cots: This type of cot has “X” shaped poles at each end make your cot very stable for sleeping on. This type also allows for ample storage space underneath the sleeping surface and in-between the end-bars. 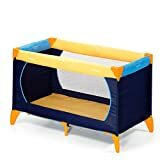 Rectangular-pole cots: This cot differs from the other style in that there are rectangular poles distributed throughout the cot. This may limit the amount of storage space, but makes up for that by providing more stable support. If you are buying a cot for someone of a heavier weight than average, this type of cot will offer more support and prevent the fabric from stretching too much, giving the user more comfortable rest. 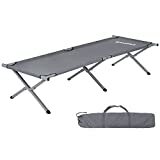 Single: Most camping cots come in this size, with varying widths and lengths. This is the best and lightest route to go, and will provide more than enough space and support when picked accordingly. Bunk: Traveling with family? Some camping cots come in a bunk-bed style! 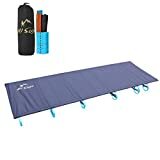 While these are much larger and more bulky than single-sized camp cots, bunk-bed cots can save space in your tent by using up more vertical room. These are great for kids to use on your trip. Size: Choose the right size that fits you, making sure you note the lengths and widths of each model, as well as the weight capacity. 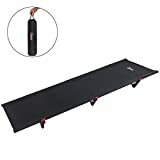 In order to sleep comfortably, you’ll want one that is a little bit longer than your height, but not too big as to take up unnecessary room in your tent or other living space. Portability: Are you going to be able to fit your camping cot in your pack if you are backpacking? 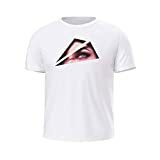 Measure the size when unfolded as well as folded, and make sure it is not too heavy such that it will weigh you down unnecessarily throughout your trek. Durability: Look for a cot that is made of durable materials - this includes both the frame and the fabric material. 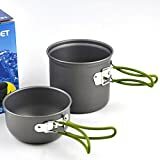 They should be able to last for more than a couple uses and keep up with your camping rigor. Cushion pad: Pad or no pad? Some cots come with an extra layer of cushion in the form of a mattress pad. 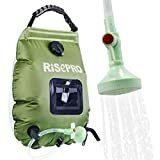 This is a good idea in terms of comfort but may add bulk and weight to your camping gear. Variety: Many customer reviews stated that they loved the versatility of their camping cots. 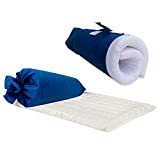 Besides using them for camping, they can be used for whenever there are guests staying at your house, especially with the cots that have extra padding for comfort. Easy Setup: The best-rated camping cots are ones that do not require tools to set up and take down. Campers loved that their camping cots were easy to set-up and freed up time to explore or cook. Materials: Some camping cots are advertised as being constructed with rust-resistant materials, which is a huge plus. 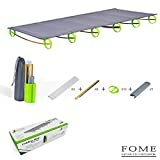 This means that you will not have to worry about your camping cot getting wet, and it will also help to extend the lifespan of your camping cot, giving you more value for your money. Coleman: Coleman is an American company that specializes in outdoor recreational products, especially camping gear. It was started in Kansas in 1902 and has continued to be a top-seller of camping products since. Kamp-Rite: This company is fairly new, only beginning in 1999, but has created a stir in the camping market. 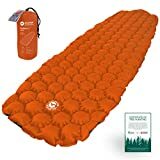 They were the originators of camping cots, which were a new concept and idea, earning them the title of “World Leader in Off-the-Ground Camping Gear”. Outsunny: Headquartered in Oregon, Outsunny produces quality products at an affordable price throughout the US.